Setting up data exports and user behavior tracking on Magento is simple with ReSci. We've created a plugin that automatically exports data directly into Cortex and inserts tracking pixels on your site. This guide will walk you through the steps needed to set up the Magento Plugin. Visit our Magento Plugin website: Magento Marketplace. Click “Add to Cart”, then click on the shopping cart in the top right and "Go to Checkout". Login to your account, complete checkout and click "Place Order". You should be taken to a "Success Page" with links to "Install", "Contact Seller" or "Download" the plugin. Click "Install". This should take you to a page where you can copy the Magento 1 access key you will need to install the plugin in your Magento admin page (see Magento Admin Setup section below). 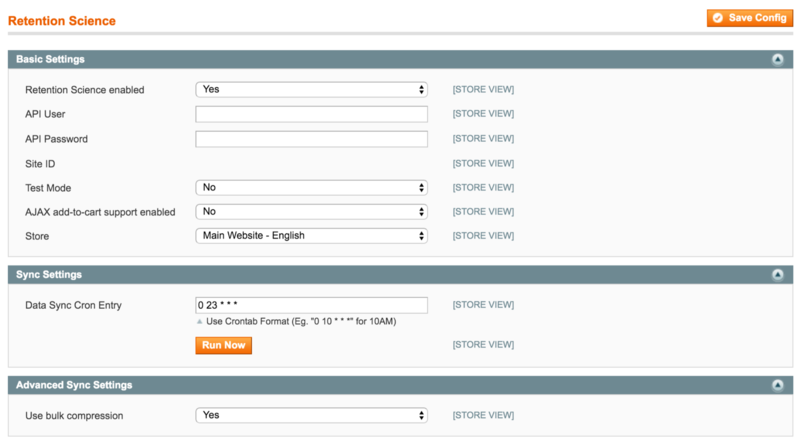 Login to your Magento Admin account. 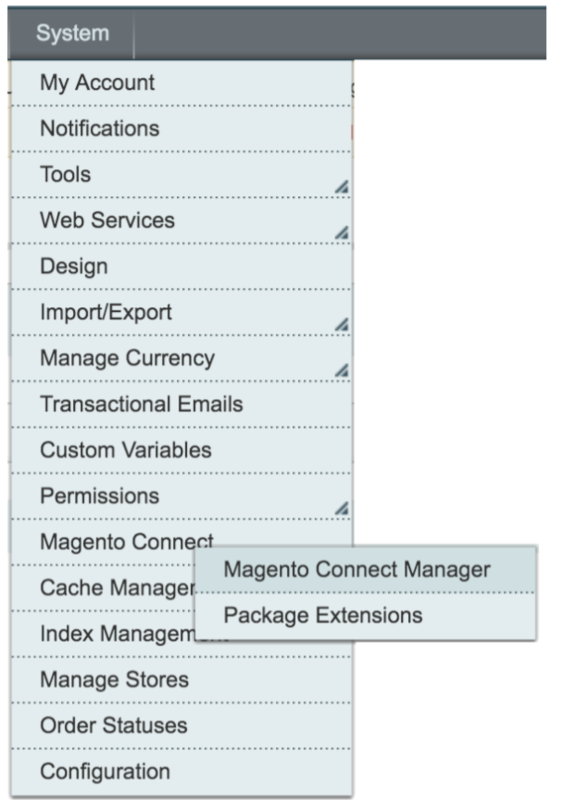 In the "Install New Extensions" section, paste the key that was copied in step 4 of the "Magento Marketplace Setup" above, then click "Install". Fill out the form, and update the settings to match the screenshots below (the “API User” and “API Password” are provided by Retention Science and need to be entered using your specific user and password). To verify the data exports and tracking pixels are set up correctly, please contact your dedicated ReSci onboarding team member.